Winner. 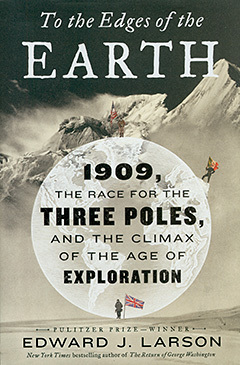 To the Edges of the Earth: 1909, the Race for the Three Poles. By Edward J. Larson. William Morrow, New York. ISBN 9780062564474. In this absorbing book, historian Edward Larson trains his sights on one year: 1909. It is a momentous year when explorers are on the cusp of attaining some of the great prizes of exploration. During the year, expeditions are underway to the North and South Poles, as well as to the Himalaya and Karakoram, seeking the so-called third pole, the “altitude pole.” It is the year in which some of the great figures in exploration make their marks: US Naval Officer, Robert Peary; African American adventurer, Matthew Henson; Italy’s Duke of the Abruzzi; and Britain’s Ernest Shackleton. Based on exhaustive research – including a journey taken by Larson to the South Pole – this book is an accomplished and exceptional historical work. Winner. 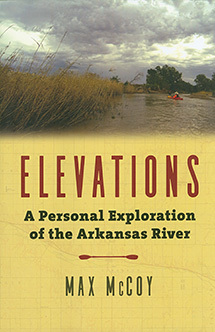 Elevations: A Personal Exploration of the Arkansas River. When author Max McCoy slips into a kayak and begins to paddle the Arkansas River in Colorado, it is the start of two journeys. One journey takes him down the river. The other journey takes him through time. From the river’s headwaters in Colorado, across Kansas to his ending point near the Oklahoma border, McCoy seeks out the river’s cultural history, past and present. He stops to visit the site of a Japanese internment camp. He spends time in a town rocked by labor unrest in 1914, and he climbs to the top of a clock tower to view a massive flood and irrigation dam. Each stop becomes a story, well told and well researched, each blending into an insightful whole. Winner. 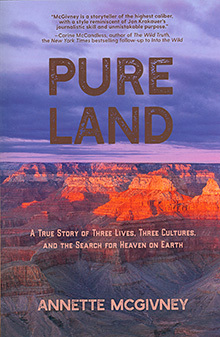 Pure Land: A True Story of Three Lives and the Search for Heaven on Earth. By Annette McGivney. AUXmedia, Detroit. ISBN 9780998527888. Havasu Creek. Its aqua colored waters, quiet pools and breathtaking falls, deep in the Grand Canyon, is one of the most beautiful places in all of the American Southwest. It’s truly a backpacker’s paradise, and many thousands have made the eight-mile hike into Supai, a small, remote Indian village, to spend time there. But in 2006, the serenity of Havasu was shattered when a young Japanese woman was murdered by a Native American. Author Annette McGivney, Backpacker Magazine’s Southwest Editor, investigates the circumstances behind the incident. What emerges from her investigations is a captivating and an extraordinarily well crafted story, and one which takes a surprise twist as she finds her own life inexorably drawn into the narrative. Winner. 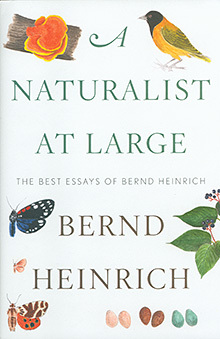 A Naturalist at Large: The Best Essays of Bernd Heinrich. By Bernd Heinrich. Houghton Mifflin Harcourt, Boston. ISBN 9780544986831. If you haven’t read any of Bernd Heinrich’s essays, this book is an excellent way to become acquainted. Heinrich is one of the finest nature writers of our time, and he writes in a down-to-earth, easy going style that all can enjoy. He’s ever curious, always asking questions, and inviting the reader to join in with that curiosity. In one essay he might be reasoning the purpose of airy, waxy filaments draped over Woolly Aphids. In another, he is discovering that some insects are not as cold blooded as we originally thought, finding, for example, that the temperature of the White Lined Sphinx Moth is a sizzling 111 degrees F. In still another, he deliberates about evolution and whether Olympic strength and endurance athletes have reached the physical limits of the human body. Informative, insightful, always full of surprises, A Naturalist at Large, is Heinrich at his inquisitive best. Winner. 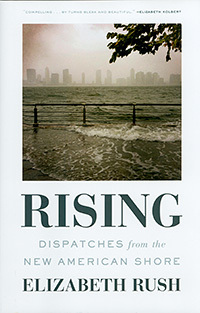 Rising: Dispatches from the New American Shore. In this penetrating work, Elizabeth Rush addresses the rise of sea level along America’s coastlines. Traveling to Maine, Rhode Island, Louisiana, Florida, Oregon and California, she interviews those on the front lines of climate change. She writes as a journalist but makes no pretense that her reporting is dispassionate. Rather, she feels deeply for the people whose homes and livelihoods are at risk or have already been washed away and moans the irreparable damage to coastal environments. This, too, is an examination of her own life and the connections between it and her subject: family, relationships, and the dangers of a young woman on journalistic assignments. With sophisticated analyses of her observations, Rising is a powerful work about one of the most pressing issues of our time. Winner. 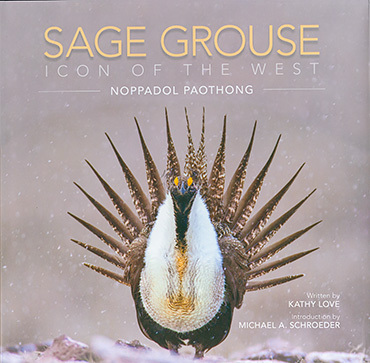 Sage Grouse: Icon of the West. Photographed by Noppadol Paothong. Text by Kathy Love. Design by Stephanie Thurber and Susan Ferber. Laguna Wilderness Press, Laguna Beach, CA. ISBN 9780984000739. Nothing beats being in the field watching the sensational mating dance of the sage-grouse. There is, however, a close second, and that is paging through Noppadol Paothong’s stunning photography of the bird. Paothong’s artistry as a photographer and his passion as a naturalist is clearly evident in this large format book. In nearly every photo he has managed to obtain the perfect marriage of subject, angle, light and background. Moreover, the accompanying written material, with finely tuned captions and insightful text written by Kathy Love, raises the high bar established by Paothong’s splendid photography. This is truly a superb work of art and prose, and a testament to this enduring icon of the west. Winner. 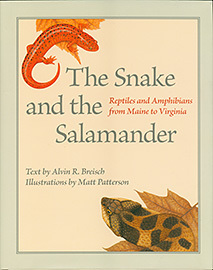 The Snake and the Salamander: Reptiles and Amphibians from Maine to Virginia. Alvin Breisch’s long time work with reptiles and amphibians is clearly evident in this elegant and resourceful book. A total of 83 different species are showcased and described in a refreshing, conversational style. Scattered about the text are delightful nuggets of information. The Smooth Greensnake, for instance, “is a bit of a picky eater.” What gives this book the “wow” factor are the 94 paintings by master illustrator Matt Patterson. Patterson’s painstaking work is near perfection with each subject rendered anatomically correct and beautifully arranged in its natural habitat. 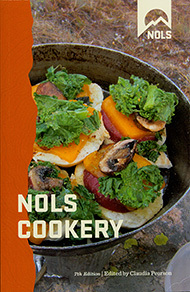 The “NOLS” in NOLS Cookery stands for National Outdoor Leadership School, a non-profit organization that has been sending groups into wilderness areas for 50 years. During that time, they’ve learned a thing or two about outdoor recipes. Now in its seventh edition, this is the classic guide to backcountry cooking. Introductory chapters cover planning, nutrition, packaging, equipment, and environmental considerations. Included also, are helpful hints on the use of lightweight backpacking stoves and techniques of cooking over fires. The bulk of the book, of course, is filled with nutritious and tasty recipes, guaranteed to have been well tested over the years. Winner. Oregon & Washington 50 Hikes With Kids. This lovely and engaging book is designed to be taken along on hikes with children. 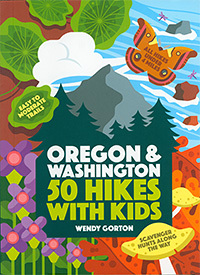 Each of the hikes has been carefully evaluated by author Wendy Gorton for their appropriateness for children, primarily in the 3-8 year range. The hikes by themselves will be exciting for children, but the book is also a learning tool to help stimulate young minds. There is plenty to see and treasures to be found. In fact, Gorton has created treasure hunts for each of the hikes in which children try to find the flora and fauna pictured in the book. Included also are the trail essentials: how to get there, difficulty, hiking time, and . . . oh yes, perhaps most important: restroom availability. Honorable Mention. 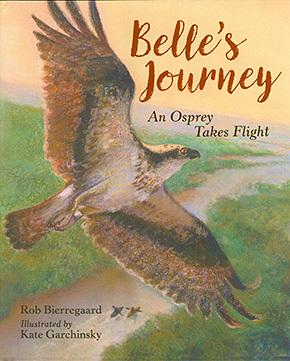 Belle’s Journey: An Osprey Takes Flight. By Rob Bierregaard. Illustrated by Kate Garchinsky. Charlesbridge, Watertown, MA. ISBN 9781580897921. In this book, for the 7 to 10 year age group, children follow the work of a Dr. B., a scientist who studies osprey. What makes this book so appealing is that it is based on a true story of an osprey named Belle – and it was written by the real Dr. B. The story is about Belle’s early life on Martha’s Vineyard in Massachusetts where she learns to fly and catch fish on her own. With the coming of fall, she sets off on an amazing 4,000 mile journey to South America. Along the way she is chased by a falcon and is even caught in a hurricane. Delightfully illustrated, entertaining and educational, this book is sure to be a childhood favorite. Honorable Mention. 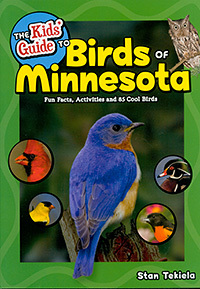 The Kid’s Guide to Birds of Minnesota. By Stan Tekiela. Illustrations by Elleyna Ruud. Design by Jonathan Norberg. Adventure Publications, Cambridge, MN. ISBN 9781591937869. Winner. 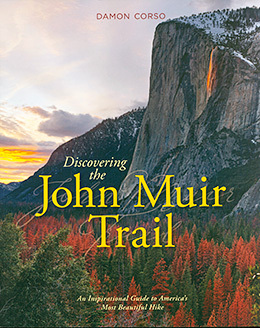 Discovering the John Muir Trail: An Inspirational Guide to America’s Most Beautiful Hike. You get a little something more than a guidebook with this fine and colorful work on the John Muir Trail. Yes, it is a guidebook. It includes mileage charts, elevation profiles, sidebars and maps, but it is also a photographic essay. From front to back, the book is filled with Damon Corso’s tantalizing color photographs. The narration accompanying the photography is nicely done and adds a personal touch. From Yosemite Valley through Kings Canyon and Sequoia National Parks to the summit of Mt. Whitney, Corso keeps your interest by describing his experiences on the trail: waiting out rainstorms, crossing swollen streams, coming across unforgettable campsites, and making friends along the way. Winner. Butterflies of the Pacific Northwest. By Robert Michael Pyle and Caitlin C. LaBar. Timber Press, Portland, OR. ISBN 9781604696936. 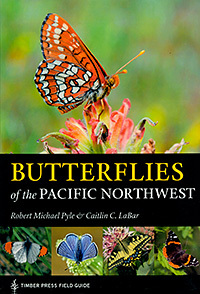 In this outstanding guide, over 200 different butterflies found in the Pacific Northwest are pictured and described. All the small details which make a topnotch guide are present: hardy paper cover, color-coded layout, range maps, comparison plates, crisp color photography and clear and understandable text. It’s the perfect guide for Northwest butterfly enthusiasts young and old. Winner. 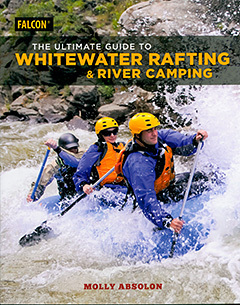 The Ultimate Guide to Whitewater Rafting and River Camping. By Molly Absolon. Falcon Press, Guilford, CT ISBN 9781493032334. Author Molly Absolon’s intent for this book was to provide a helpful instructional guide for folks just getting into whitewater rafting. With a solid overview of the sport, and accurate, up-to-date information, she accomplished that goal quite handily. All the essential elements of multi-day whitewater trips are covered, all nicely packaged in an attractive, full color guide.